This entry was posted in Carrie Stevens Pattern Dictionary, Schedule and Events, Streamers and Bucktails and tagged Brook trout, Carrie Stevens, Don Bastian, Lakewood Camps, landlocked salmon, Leslie Hilyard, Outdoor Sporting Heritage Museum, Rangeley Maine. I just wanted to say have a great time at the Carrie Stevens weekend……… I wish I could be there. Unfortunately I am going to miss it. I’ll be out at Yellowstone with my family ( all 9 of us) for two weeks. I also wanted to say how much I enjoy your blog…….and glad to hear you’re band is doing so well and you’re caught up with your fly orders. Hopefully we’ll have a chance to visit at the Danbury Show or the Flytyer’s show the next weekend. “busyness” and not anything negative. Have a great time at the Rangeley event; perhaps you can share a photo or two when you return? I thought I did send that to you, Ed. Sorry you never got it. I got kind of swamped and lost track of some things. What happened was an internet issue. My e-mail provider, Chilitech, changed their equipment on St. Patrick’s Day, and this gave them a new IP address. What that did, was cause many other providers: Yahoo, Verizon, AOL, G-mail, Frontier, Epix…etc., to refuse the messages. It was gradually taken care of, but it was just less than a week ago the last one of the companies; Yahoo, Frontier, and Epix, finally got cleared up to accept e-mails from Chilitech customers. I have my grandsons t-ball game shortly this afternoon, but I’ll get on this when I get back. Again, I apologize. Talk soon! Don, glad to hear you’ve been busy “and for reasons, none bad…” I’d like to come to ME but I’m solid already for June it seems like summer is already 99.9% booked. they were so bad that you were being diplomatic…..
Hi Don, glad to see you back! I seen your reply to Ed above and that explains things very well. I also sent a request hoping for your permission to use your photo of the Parmachene Belle in my upcoming book “It’s only Ankle deep…if you go HEADFIRST! ( the fly links into a fly fishing story in the book and it would be a privelage to put the best photo forward!) Let me know if that is okay. I also wish I could get to that event in Maine! I did reply already, and give you permission to use the Parmacheene Belle pic, but you are a Yahoo e-mail customer. Problem on my end with my server; it was only about May 28th from St. Patrick’s Day, that FINALLY! – I can e-mail my Yahoo friends! Hi Don, Thanks very much for the permission and I will duly note your kindness. All the Best and I know the Maine weekend will be a success. Well please allow me to say that you need to get out at least once and go fishing. I had this problem in 2014 when My Mom passed away I missed the entire 2014 season. Well in 2015 I am getting out, catching fish and it’s the time on the waters that makes me realize that I need to stop what I am doing once in awhile and fish. It’s a good for the soul type of medicine. I been playing a lot of Bluegrass Guitar and am wrapped up entirely with that as well and truly understand what music does to one. Jamming weekly with various bluegrass groups has been truly uplifting and satisfying. Getting back to my tying as well, but between guitar playing, practice, home, dogs and trying to lose weight via Bike Riding I don’t have enough time in the days. But I will tell you getting out fishing makes me relaxed and puts me into a mood to just want to do more of everything. So no excuses Don. Just get out and fish at least once. Good to have you posting again! I can guess that your life is busy too by what you have mentioned! 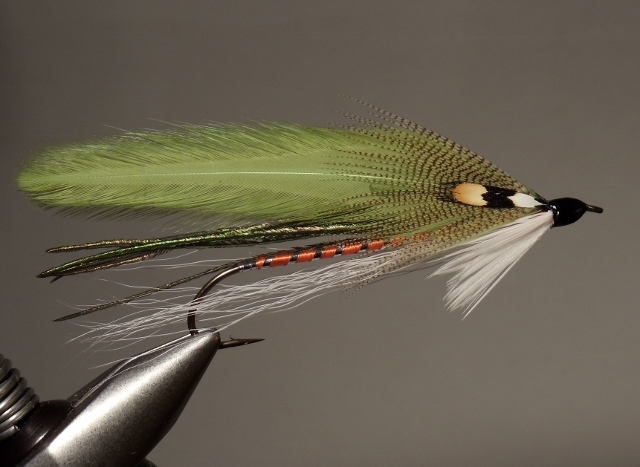 Bill’s streamer patterns are just amazing! I never get tired of seeing his handiwork! Have a great time in Maine and please report back on your blog! I hope you had a great trip to Lakewood Camps. I was up from 15-19 June. Even thought the water was roaring at 4,000 cfs, we were able to fish small and catch large brook trout and salmon. Hi from Norway. My name is Björn, age 57, and I’ve been a fly tyer for many years. This summer I came across Carrie Stevens Streamers on the internet. This really gave my tying a new dimention. 🙂 I have found 125 of her pattern names, and 120 pattern discriptions. Do you know how many patterns she made, or is there anywhere I can find them? The actual number of “named” Carrie Stevens streamer patterns varies by who you ask. The two major sources that published originals and replications of her work, the books, “Forgotten Flies” and “Carrie Stevens: Maker Of Rangeley Favorite Trout and salmon Flies” both published in 2000, have a different total of the number of patterns. I personally have never undertaken the task of trying to ascertain the “actual” number. 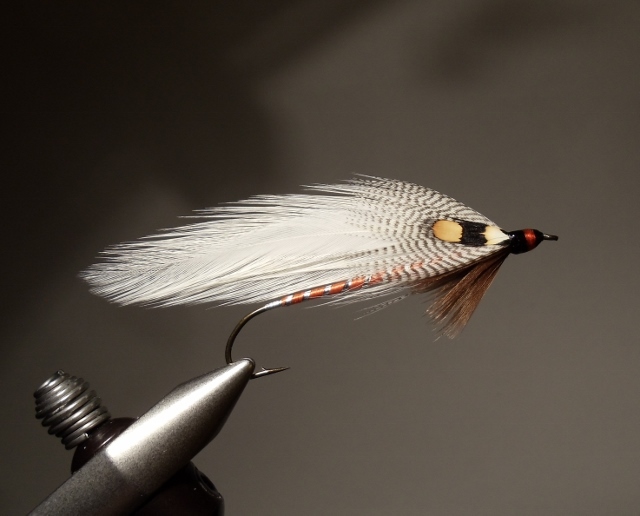 There is at least one pattern known by name, the “Lucius A. Derby” streamer, that was a conversion from the B-Pond wet fly, is known to have existed by name, but no specimens have been found. It was created in 1942, and at least 75 of these were made and distributed to members of a Masonic Lodge in Lowell, Massachusetts, as a memorial memento at Mr. Derby’s funeral. See my list of names attached. I’ve found this mostly on your site and on streamers365.com. I have seen the Carrie Stevens poster on http://www.rareandunusual.com/forgottenflies1.html, but it’s not possible to read the names. The poster is also available on ebay, but the shipping is too expensive. If you got any pattern that’s not on my list, I’ll be more than happy if you can send it to me. Thanks for the tips about Chris Del Plato at The Streamer list. I’ll try to get in touch with him. Thought there had to be a server issue Don as this is the first post received since May.